On Saturday, September 30, 2017, the Connecticut Daylily Society welcomes Charlie Zettek, owner of Cobbs Hill Daylily Garden in Rochester, NY. He will present his program “Daylilies as Garden Plants – A Different Perspective”. Charlie purchased his first daylily from Gilbert H. Wild back in 1985. After building a collection of award-winning daylilies, he turned his attention from amassing flowers of other growers to developing his own hybrids. He is particularly interested in creating little early and big late daylilies with high bud counts and excellent foliage and form. At both the 2008 and 2015 Summer Regional Meetings, two of his tiny hybrids won the Region 4 Stanley Saxton Award for best seedling. Charlie has been a national daylily judge for the past seventeen years, and his Cobbs Hill is an American Hemerocallis Society display garden. Doubtless, Charlie knows a winning daylily when he sees one, and we are so excited for him to share his hybridizing program with us! Our social hour with delicious and popular potluck lunch begins at noon, followed by a brief business meeting and Charlie’s presentation at 1 pm. As always, there will be fabulous daylily door prizes, and attendance is absolutely free of charge. 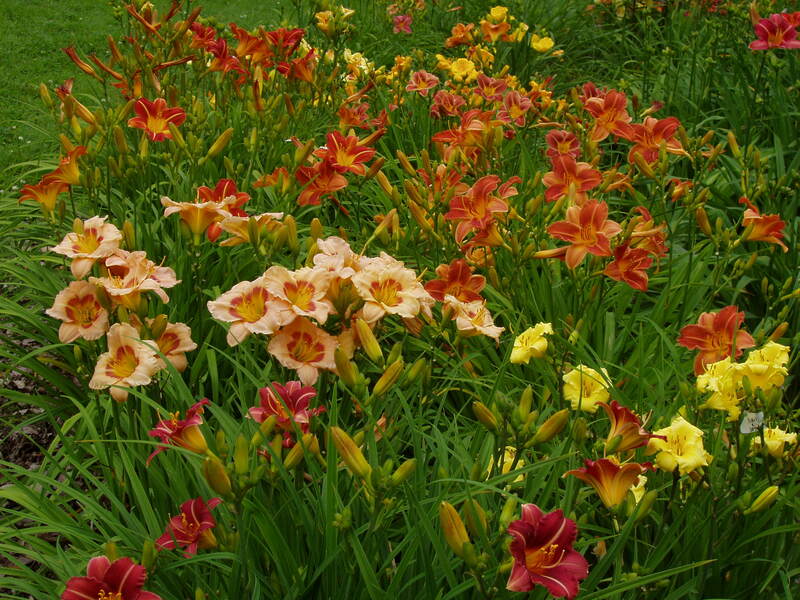 The Connecticut Daylily Society warmly welcomes anyone with a passion for plants! Flowers, friends, food, and fun are what the Connecticut Daylily Society is all about! The bloom season will be over before we know it, so why not spend a few hours daylily dreaming once the hectic, hot summer has passed? For more CDS info, check out our blog: https://ctdaylilyclub.com. Hope to see you on September 30th! In addition, Greg Haggett will have his beautiful new “Daylilies – 2018 Calendar” available for purchase at the meeting – same deal as before: $15/each with $5 of that going to CDS. They make great holiday gifts for yourself and your family and friends! Sorry it is Yom Kippur so I cannot come. Robin Lensi, Allied ASID lensi designs Please excuse any typos! Sorry to miss you, Robin. Have a blessed Yom Kippur!